Aside from blogging there is nothing I love more than attending a fabulous fashion event! 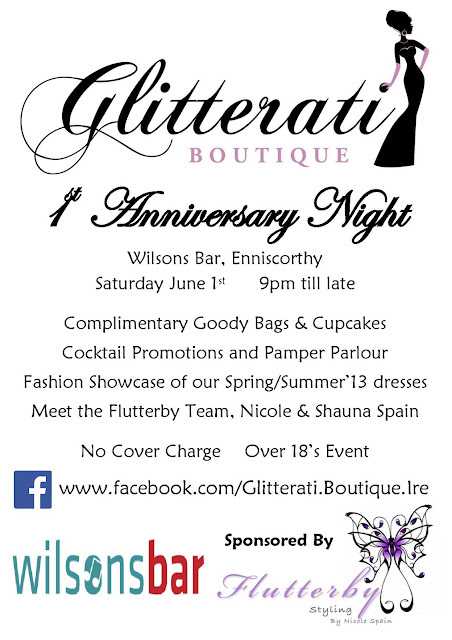 I was recently invited to attend the 1st anniversary party for Glitterati boutique, an amazing designer dress-hire boutique located in South-East Ireland which will take place on Saturday 1st June in Wilsons Bar, Enniscorthy, Wexford. This is an event not to be missed by Irish Fashionistas! Not only will you receive complementary goodie bags on the night but you will also be treated to cupcakes and cocktails throughout the event. 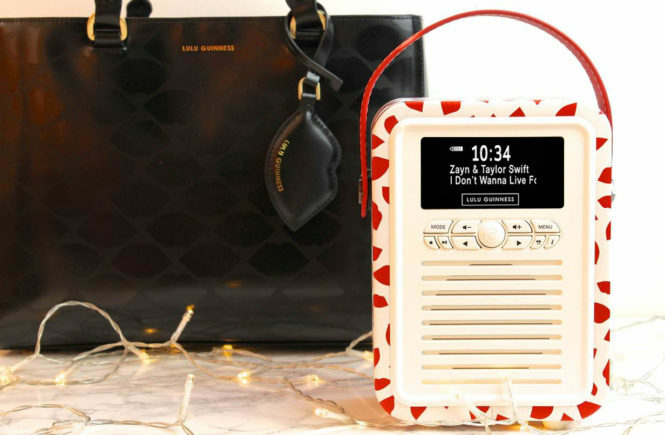 The perfect night for fashion-lovers! There will also be a pamper parlour set up and be sure to dress to impress as you might win Best Dressed Lady on the night! Glitterati’s Spring/Summer showcase will also take place on the night giving you an insight into some of the hot favourites for this season, with the night being sponsored by Flutterby Fashion Styling.